The Brazilian wax of internet sites. The plains of Africa has much to offer, with breathtaking scenery, the wildest animals, civil unrest, and... juggalo love? 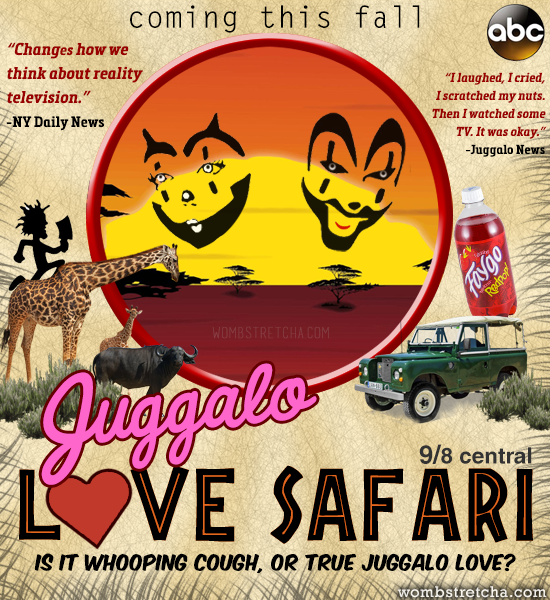 Tune in this fall as two juggalos are sent on safari with the hopes of hitting it off, only on ABC. 9/8 central.